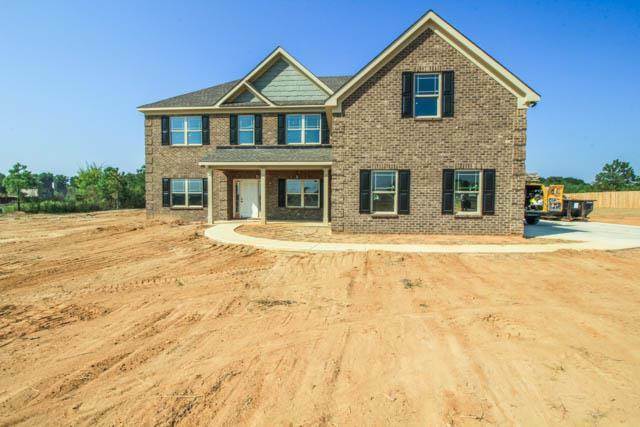 All brick home with 5 bedrooms and 4 baths! From the foyer, the formal living room and formal dining room are to each side! Wonderful 2 story great room with beautiful fireplace surrounded by windows to add natural light. Additional room that can be used as a bedroom, office, study, or bonus room behind great room! The kitchen and breakfast area are open to the great room. Step out of the GR into a private backyard with a covered porch for entertaining. Master BR with bath with tiled shower. SchoolsClick map icons below to view information for schools near 95 Registry Way Fort Mitchell, AL 36856. Home for sale at 95 Registry Way Fort Mitchell, AL 36856. Description: The property at 95 Registry Way Fort Mitchell, AL 36856 in the Federal Estates subdivision with the MLS# 170802 is currently listed for $359,000 and has been on the market for 81 days. You are viewing the NTREIS listing details of the home for sale at 95 Registry Way Fort Mitchell, AL 36856, which features 5 bedrooms and 4 bathrooms, and has approximately 3500 sq.ft. of living area.